Tribeca, one of the original “acronym” neighborhoods, has come a long way since its more generic pre-70s designation of Lower West Side. 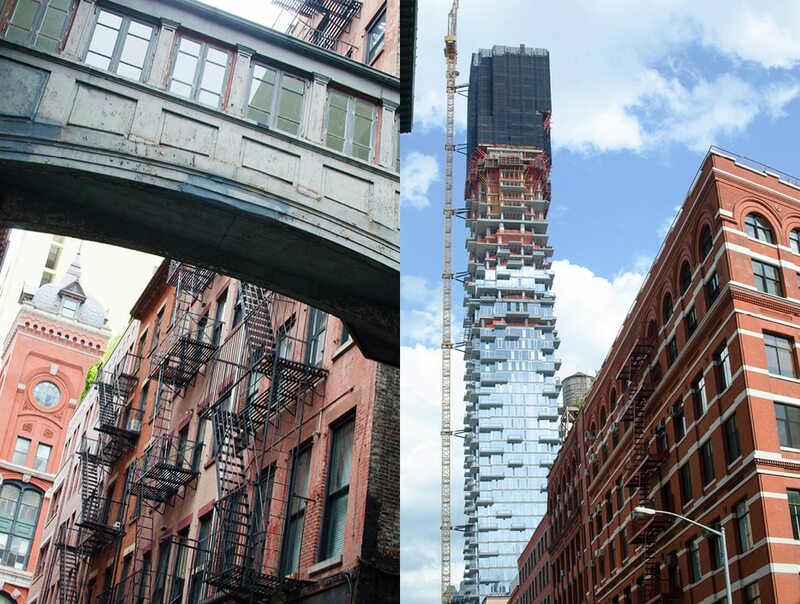 Although the name “Lower East Side” has been distinct enough to support that neighborhood’s unique character and ever-growing reputation, the designation “Tribeca” apparently came into being quick on the heels of the Soho Artists Association’s successful application to rezone their area. The artists living down below Soho on Lispenard Street were similarly ambitious to rezone their area and started a group under the name “Triangle Below Canal Block Association”. As with Soho before, the name soon was shortened to the much simpler “Tribeca” and the area has been on the rise ever since. Tribeca has long been one of my favorite areas in New York. The architecture is a bit less amenable to shops and more sympathetic to restaurants. So the shops that do appear tend not to bow to the status quo. And the restaurants? Tribeca has some of the best. A well-known resident and fellow admirer of the area is my long time colleague Erik Torkells. 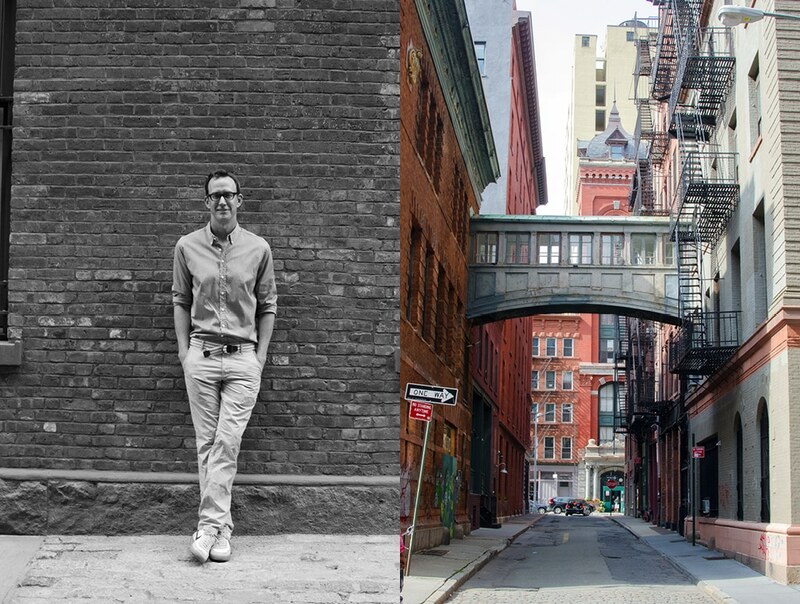 Erik’s obsession with keeping abreast of the area’s comings and goings has resulted in a popular blog called Tribeca Citizen that documents the neighborhood’s ever unfolding story. I have been exploring other parts of the world of late, so on returning to New York recently I asked Erik to give me the skinny on what’s new around the triangle. I followed Erik’s advice and here is what I found. It’s early so breakfast seems like a good place to start. 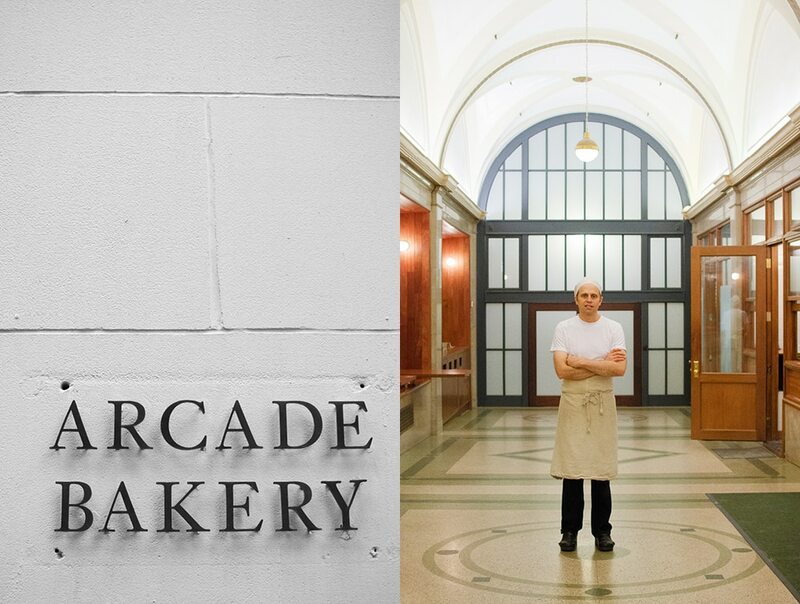 Hidden in the entry arcade of a beautiful Art Deco office building at 220 Church Street you find the aptly named Arcade Bakery, opened one year ago by pastry chef Roger Gural. Roger originally started on a very different career path with a job in television. But luckily for us he discovered a passion for pastry and instead of spending his days in dark video production rooms, he developed his talents in the kitchens of the famed chefs Thomas Keller and David Bouley. In David Bouley’s kitchen he was lucky to fall under the tutelage of a master French baker who apprenticed him in the fine art of Viennoiserie. Now Roger is the master and you can experience the full expression of his baking greatness. 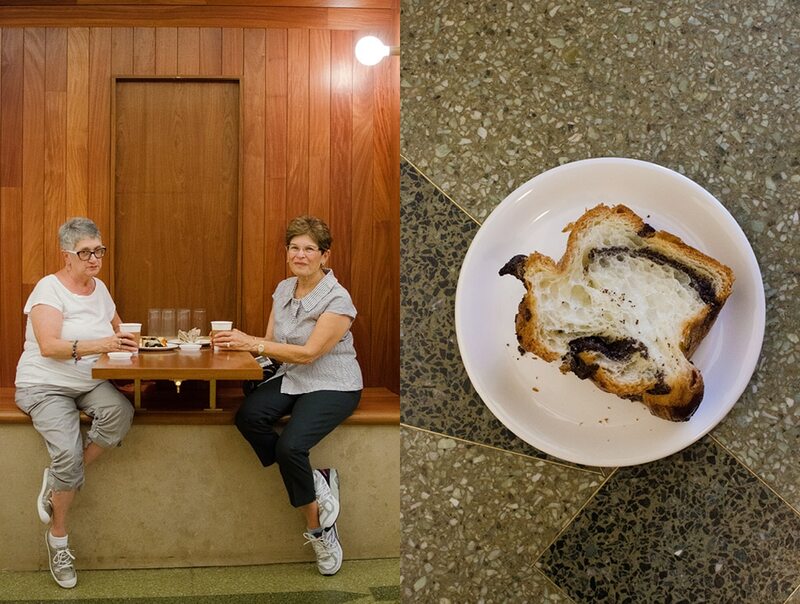 Our breakfast consisted of a slice of poppy seed babka and an almond croissant. Both were excellent, as expected. As we enjoyed out treats we struck up a conversation with two ladies at a table across the arcade. They were visiting from Palm Springs and had read about the Arcade Bakery in a magazine. Both were self-proclaimed babka experts and verified that Roger’s is the best. And, for authentic French baguettes and the best croissants in town, this is the place. Navigating Tribeca is quite easy, as it covers only about a square mile (two and a half sq. Kilometers) of Manhattan. So it was just a few steps south to reach Erik’s next recommendation. The Poster Museum was established in 1973 by collector Philip Williams. 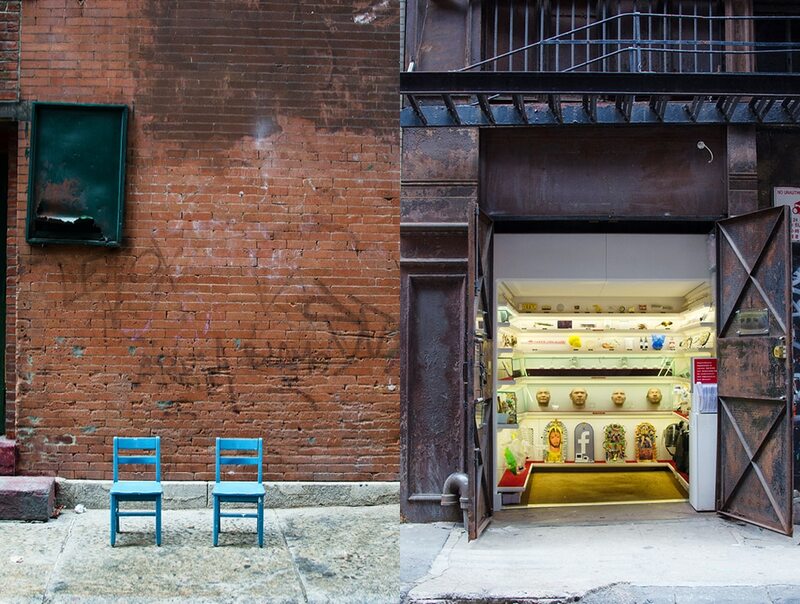 The Tribeca storefront only houses a fraction of the 500,000 artifacts that Philip acquired over the last 40 years. 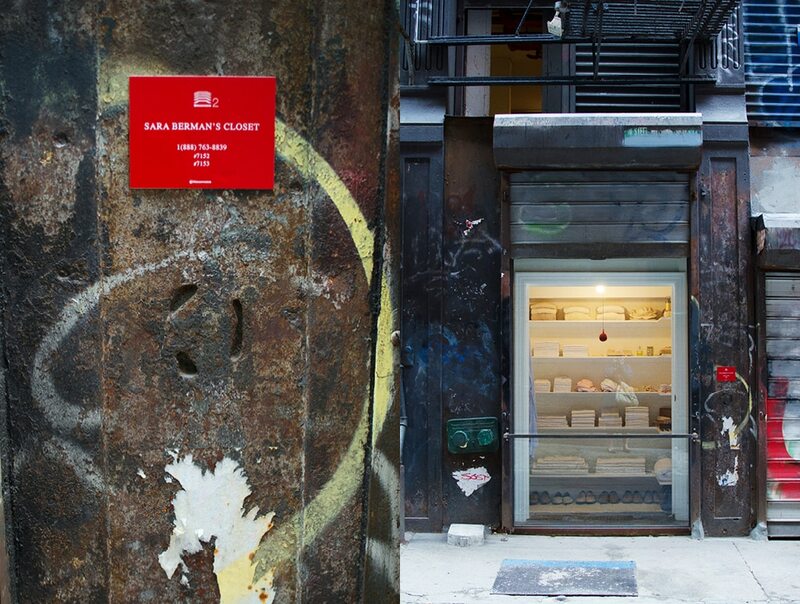 Actually we should say “storefronts” because the Poster Museum spans the whole block between Chambers Street and Warren Street, with entrances on both sides. 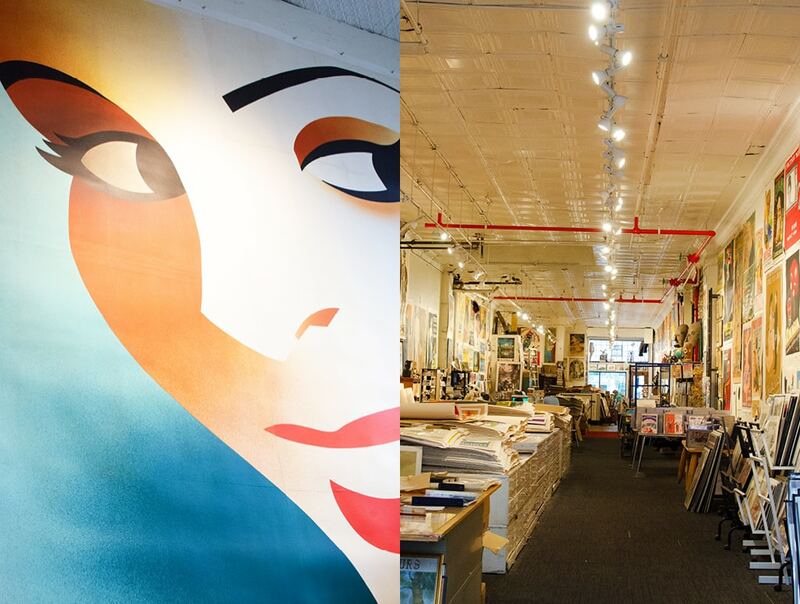 The store is a time capsule in that it’s a space unchanged since Tribeca’s origins in the 70s. The old posters harken back to much earlier times, with old memos of events and lifestyles from around the world. I love the classic travel posters from the 50s. If only I had more wall space! I quickly came across several things that would be perfect in my house. For shopping or just to have a look, this is a great place to see the real Tribeca. 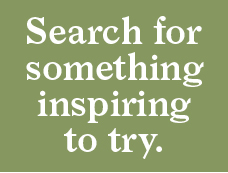 For a virtual tour, check out The Poster Museum’s Twitter account. They regularly post interesting pieces from their collection. 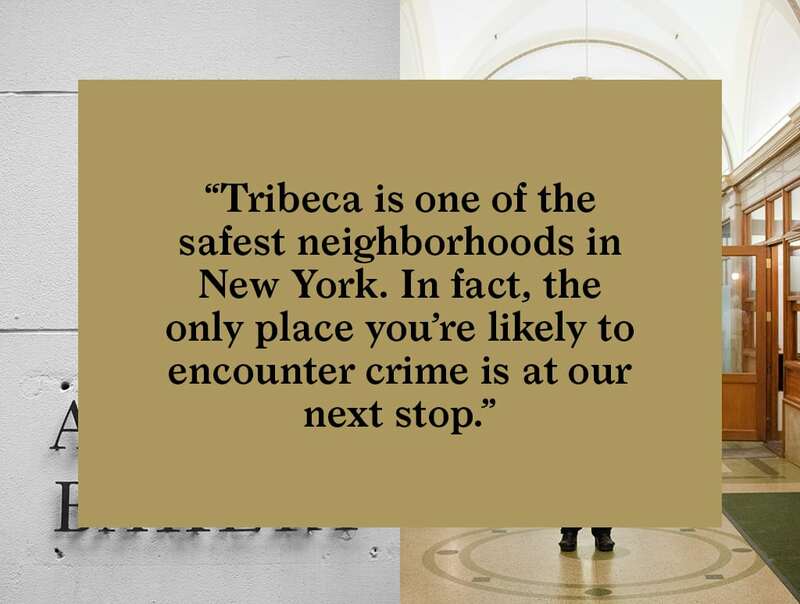 Tribeca is one of the safest neighborhoods in New York. In fact, the only place you are likely to encounter crime is at our next stop. 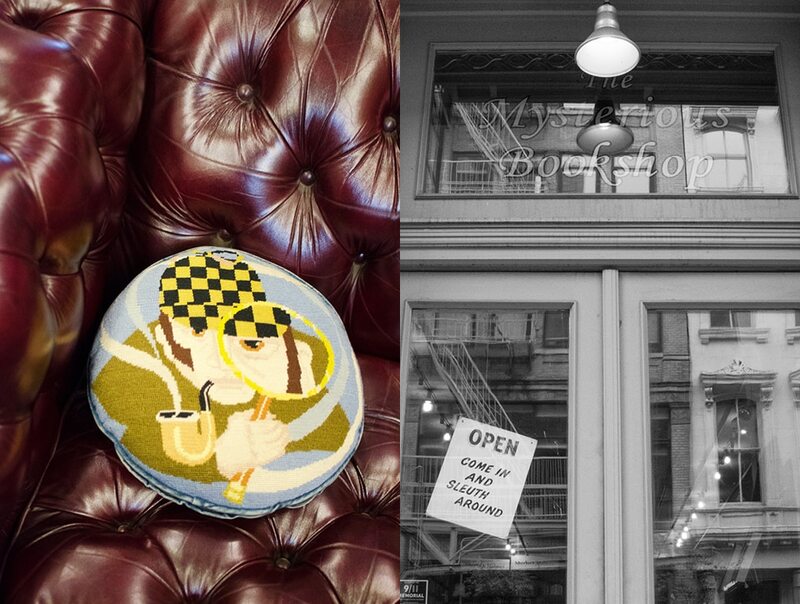 Right next to The Poster Museum on Warren Street you will find the Mysterious Bookshop. Serving amateur sleuths for the last 36 years, it lays claim to being one of the oldest mystery book stores in the country. And it’s more than just a place to buy books. Live readings by well-known mystery authors are regularly hosted in the shop so check their schedule online to see if there is something on when you are in the area. Or just come in to find some new whodunit material. The knowledgeable staff will fix you up with just the right literature to keep you guessing. This is a great place to visit in the evening because the eternal flame analogy is conveyed in more than just the building’s shape. The facade lights up from the inside giving that part of White Street a warm glow. As Soho has been taken over by big brand outlets, some of the more interesting shops have migrated south into Tribeca. Next we are visiting two of those recent migrants that have taken up residence on Walker Street. 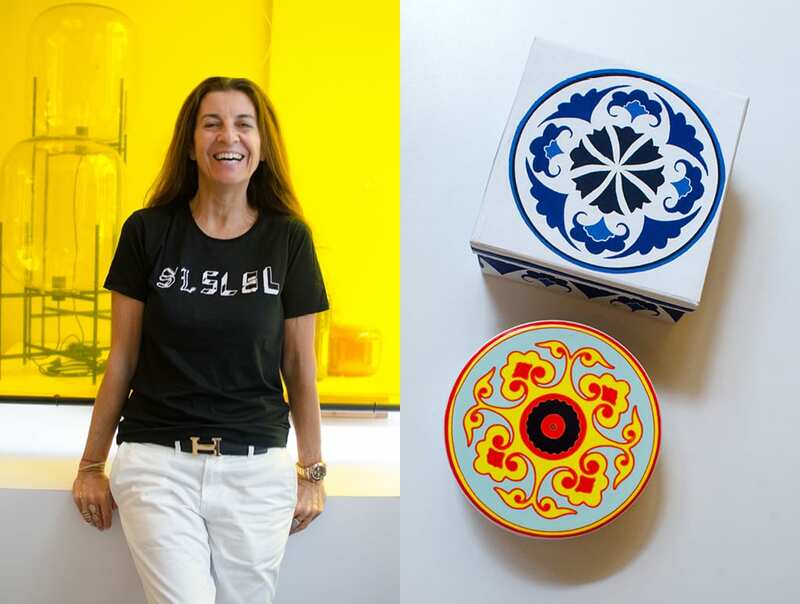 For many years, Sabrina Schilcher’s store Property has been a mainstay in Manhattan for everything related to modern design. 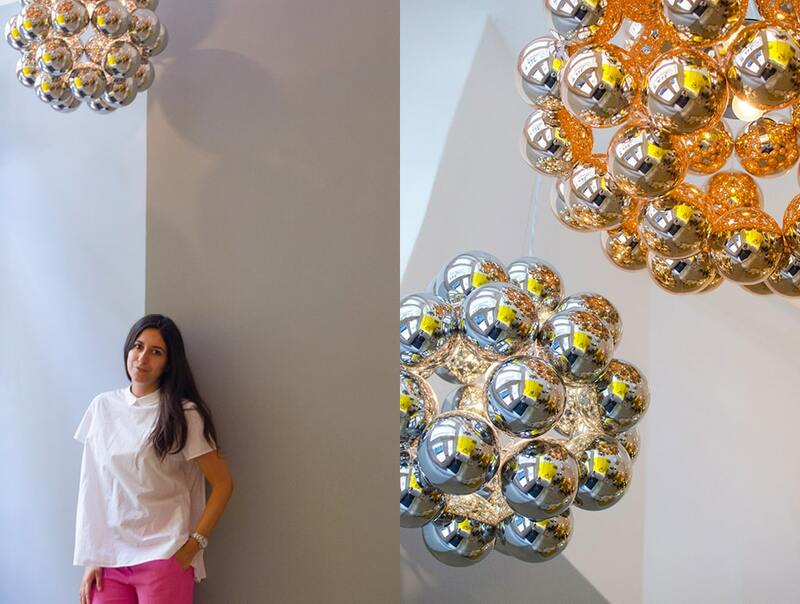 Her nose for great design and well-curated selection of modern classics and experimental designs makes her Tribeca studio a must visit. 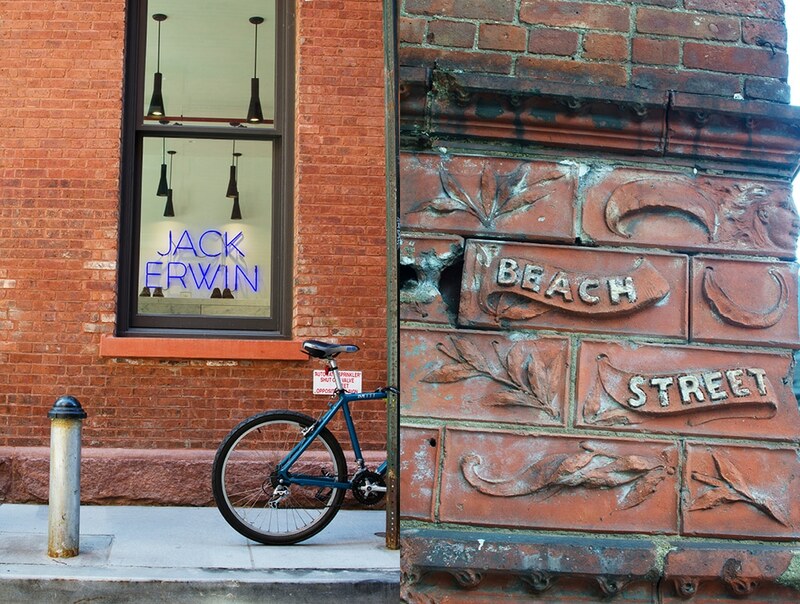 Aside from the many places to visit, shop and eat, it’s really the streets that give Tribeca its distinctive character. 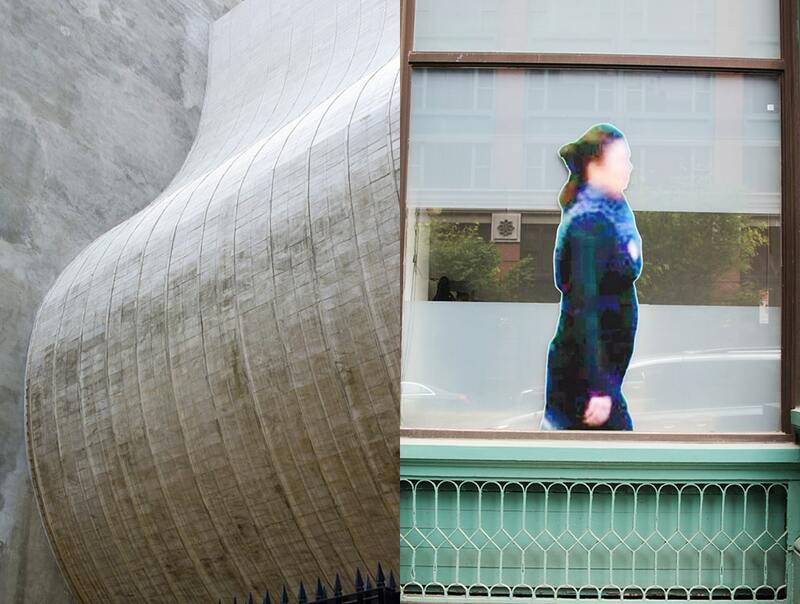 The combination of architecture, people, and the gradually evolving ephemera never gets old. And speaking of ephemera, there is one resident artist has made the city his canvas. 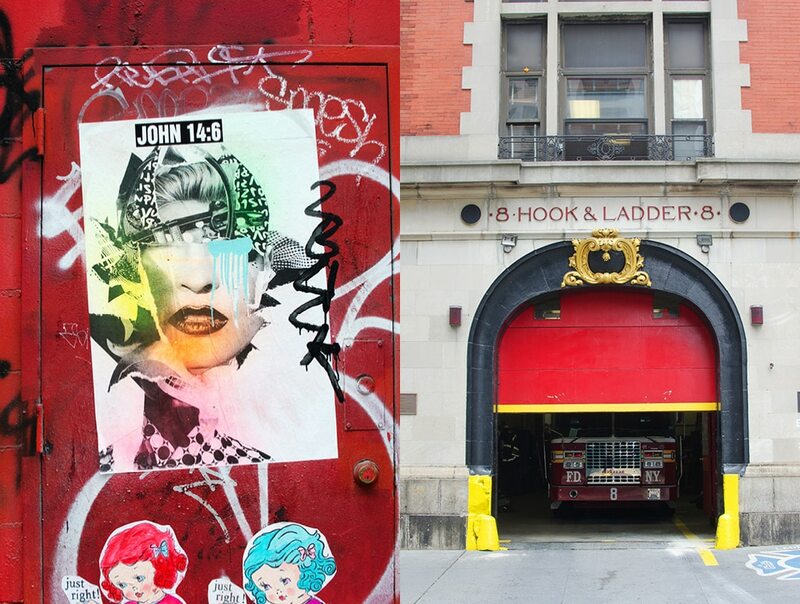 As you walk around, be in the lookout for the work of Robert Janz. Robert is now in his 80s but still out most days adding his unique touch to the urban landscape. His work is subtle so you have to pay close attention. But once you’ve noticed it, you can’t miss it. His territory ranges from Tribeca to midtown. 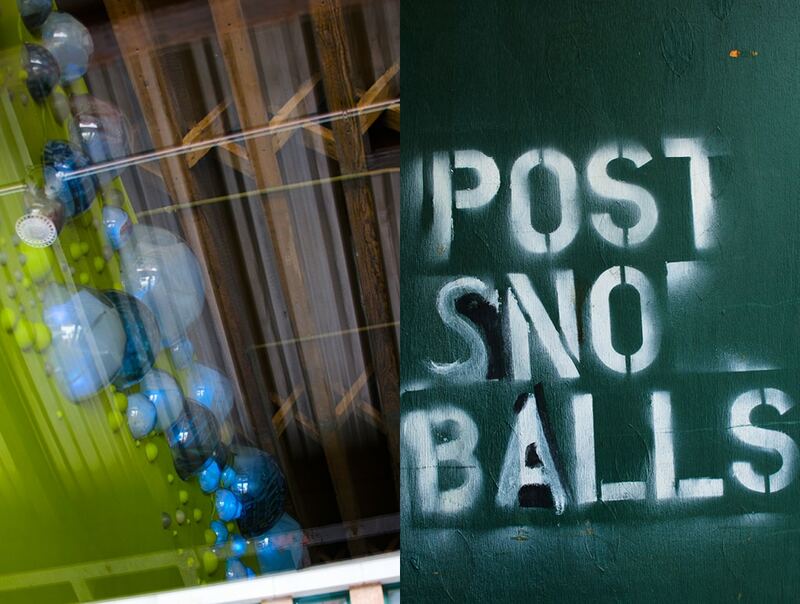 One of my favorites was a tongue-in-cheek changing of the ubiquitous “post no bills” sign to “post snow balls”. It being a particularly hot day, the art work was all the more poignant. 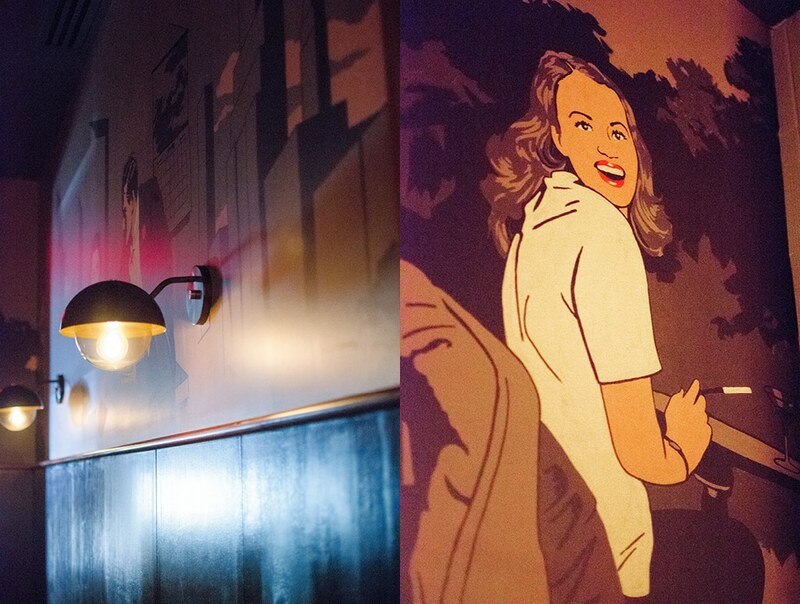 Keep your eyes peeled for Roberts subtle editing of Tribeca’s streetscape. 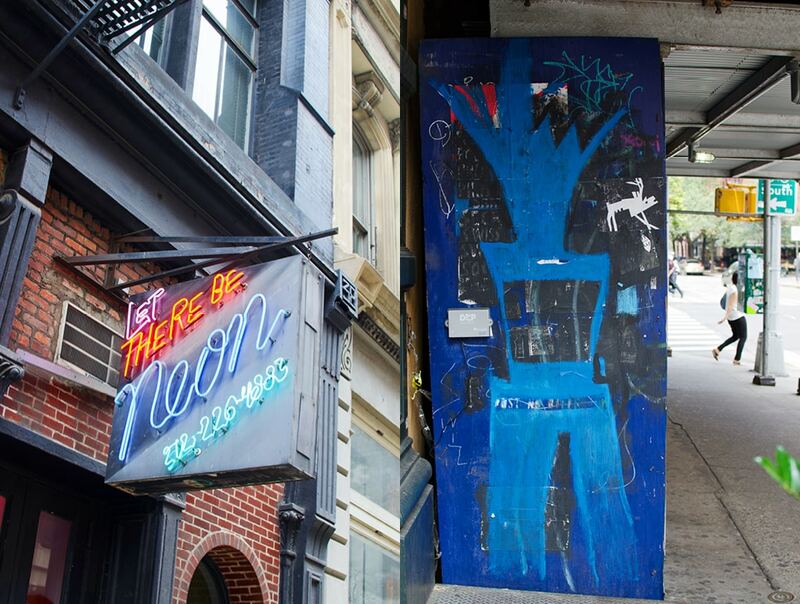 Above all, Tribeca is a neighborhood that has developed as a result of its earliest artist residents. Other industries may be slowly encroaching on its territory from further downtown, but the heart and soul of the place is still its creative endeavors. To see some of Tribeca’s creative output on display we are heading west across Broadway to visit Cortland Alley. The architecture of the alley is unique in itself, but there are a couple of installations there that make it definitely worth the trip. Inside some defunct freight elevators opening onto the alley, two small private museums have been installed. One, a micro modern natural history museum, displays modern artifacts, telling the story of simple modern objects that are obscured from our notice by their ubiquity. My favorite display was the evolution of coffee cup lids. And next door is the museum, Sara Berman’s Closet. Artist Maira Kalman has painstakingly recreated her mother’s closet which, in the artist words, “was both ordinary and extraordinary”. In order to take it all in, two matching blue chairs are provided across the street. 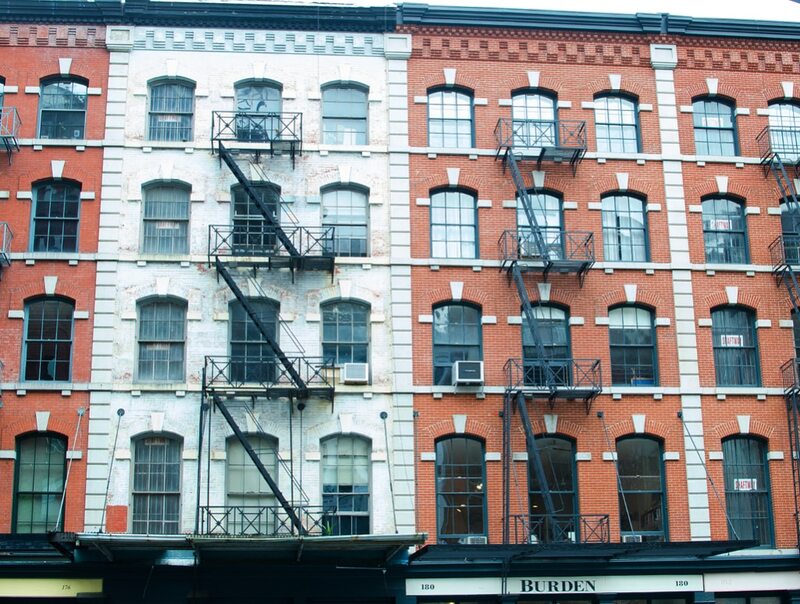 Continuing on our exploration of the Tribeca streets, we are now wandering over to Staples street to check out some of the original old manufacturing and warehouse buildings with their distinctive shutters. If you meander a bit uptown, at Greenwich and North Moore you will come across our next destination, Smith & Mills. This is a great place to take a break and get some refreshments. Housed in a converted horse carriage house, this is the kind of establishment you would probably expect to find in Paris or London. 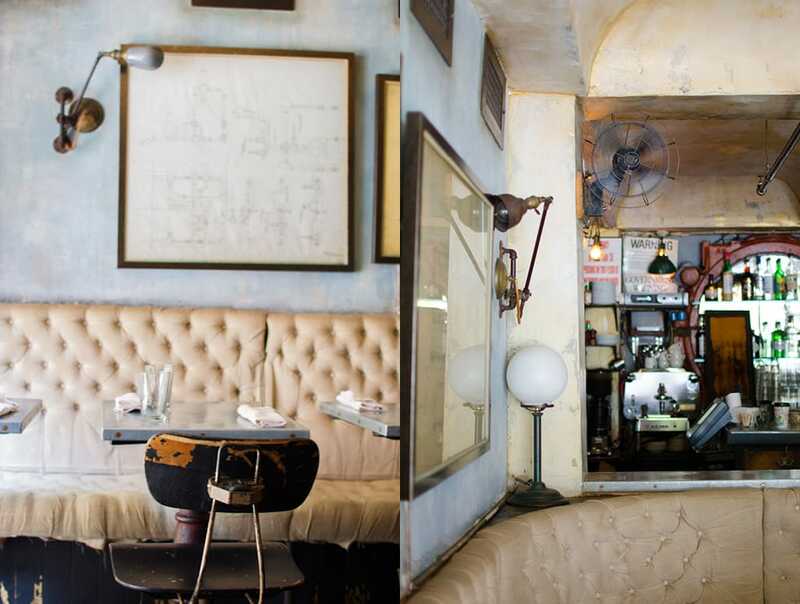 Its well-worn interior keeps the spirit of old Tribeca alive. In summer months the charge doors are flung open extending tables out into the open air. If it is not too hot, it’s a great place to while away the afternoon. 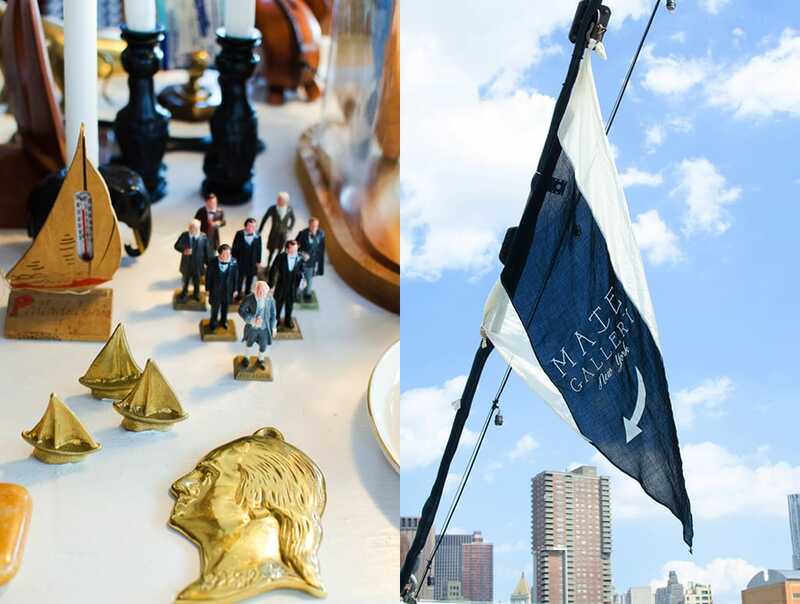 For most of Manhattan’s history it has been a place of manufacturing and trade. The infrastructure at the edges of the island were driven by shipping to support the coming and going of goods and people. When all that business disappeared the waterfront fell into disrepair and was ignored for many years. But in recent years that has all changed with Tribeca being one of the beneficiaries of development of the west side waterfront. Now just west of Tribeca a vast park system offers a plethora of activities to New Yorkers and visitors. Emerging from Tribeca’s western edge, we leave the city behind and head out over the water on the Hudson River Pier. Our destination is the Grand Banks, a 142’ schooner moored at the end of the pier. Formally a fishing vessel dating back to 1942, for most of her life she worked the waters of the turbulent North Atlantic. 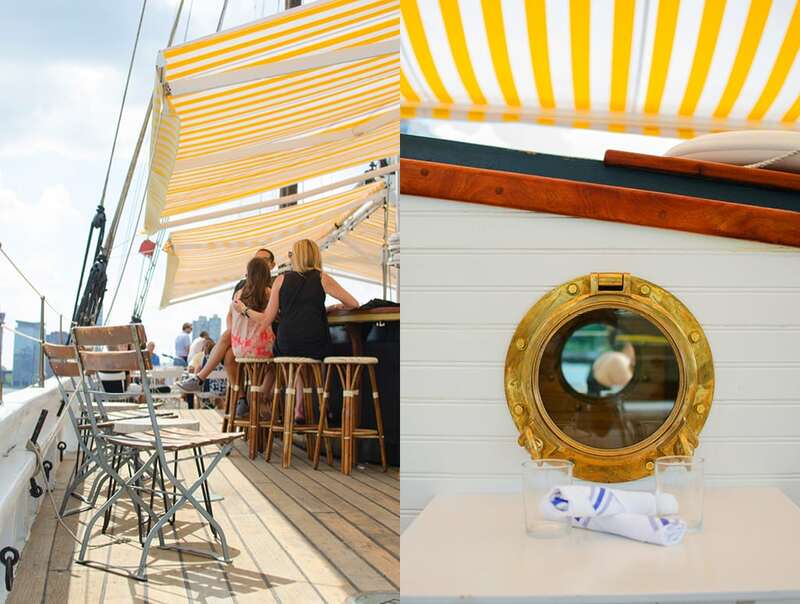 That is until lifelong sailors Miles and Alex Pincus in collaboration with Adrian Gallo and Mark Frith decided to refit her to navigate the choppy waters of the New York bar scene. The deck has been outfitted as a beautiful bar that is now open from May to October each year. It is quite a unique experience leaving solid ground for the gentle rocking of the boat’s deck. And so great that you can spend some time out on a boat without ever heading out to sea. The big advantage: you can board whenever you want and when you are ready to go, it’s up to you. Oh, and no life jackets. 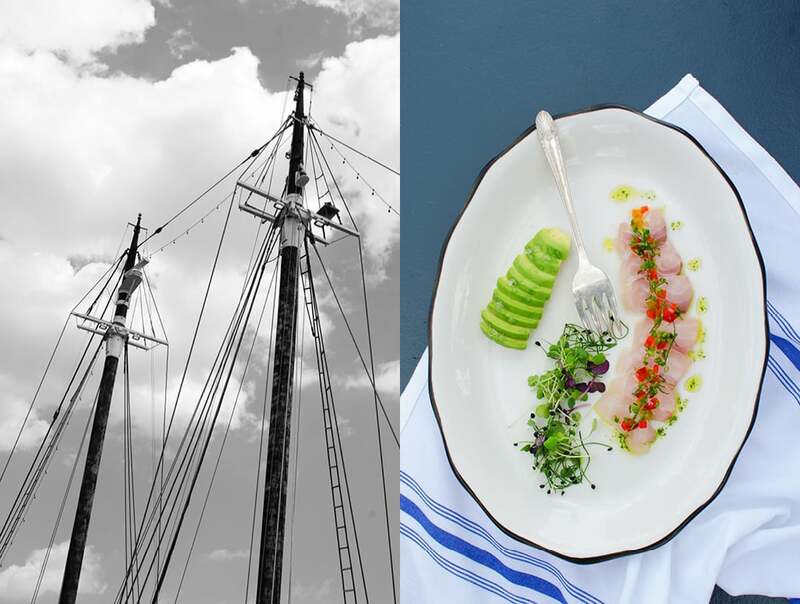 Chef Kerry Heffernan came up from the galley briefly to tell us about his menu and share his fabulous Ceviche, made from sustainable Montauk sea Bream with avocado, habanero, kaffir lime and mint. Chef Heffernan maintains a small herb garden on board which makes his seasonings very local, but also very much in the tradition of ship-bound fresh cuisine which, by necessity, had to be raised or grown onboard. 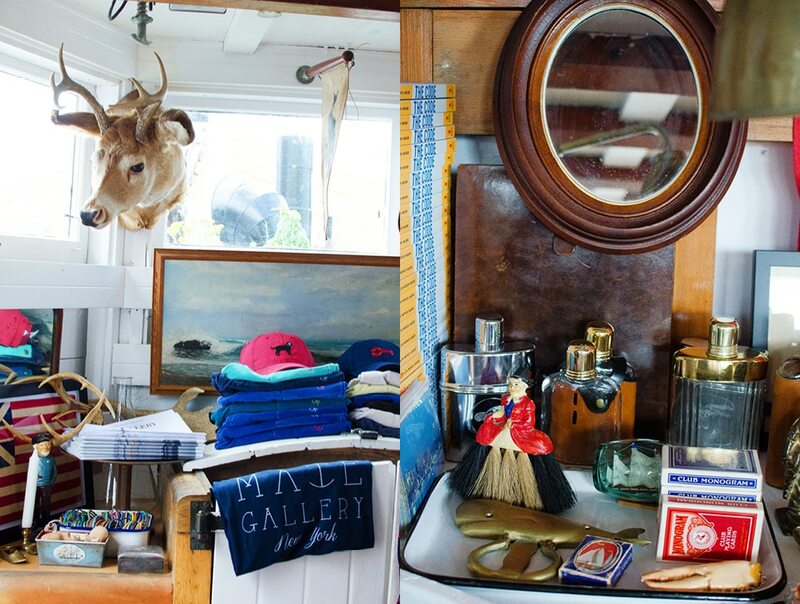 At Grand Banks’ stern, occupying the wheelhouse, you will find the tiny New York outpost of Mate Gallery, with their characteristically eclectic mix of vintage oil paintings and textiles, nautical objects, out-of-prints books and swimming apparel. Mate Gallery was started by Ron Brand and Matt Albiani in Santa Barbara, California. A great surprise to find out on a boat on the Hudson. With the sun setting over the Hudson, we disembark from the Grand Banks and head back into Tribeca for our final stop. At the Smyth hotel, if you go all the way to the back of the lobby area you will find the Evening Bar, a quiet off-the-beaten-track place that is perfect for an evening conversation and drink. 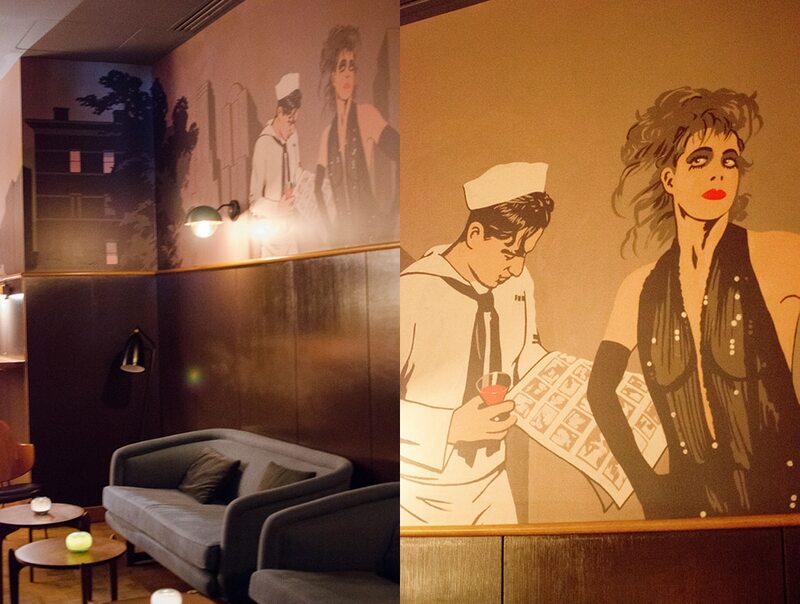 The wrap-around mural created by Brooklyn artist Matthew Benedict encompasses the whole room with early quasi 1940s imagery. An impressive back-lit mahogany cocktail bar along with an interesting mix of vintage Scandinavian and American mid-century furniture round out the interior. 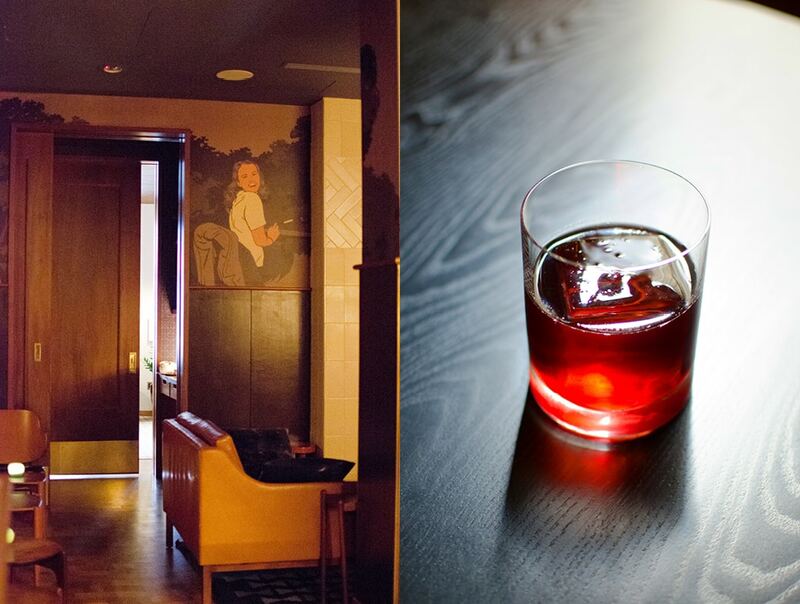 It’s a great space that reminds me of the classic King Cole Bar at the St. Regis in Mid-town. Sort of a younger, downtown version of that. The drink menu is divided into four cocktail sections; Sparkling, Shaken, Stirred and Classic. I tried the Second Marriage, a brilliant cocktail particularly memorable for its mesmerizing color, heavy glass and perfectly square ice cube. They get all the details right at the Evening Bar. Many thanks to Erik Torkells for sharing his Tribeca favorites with the Bearleader. 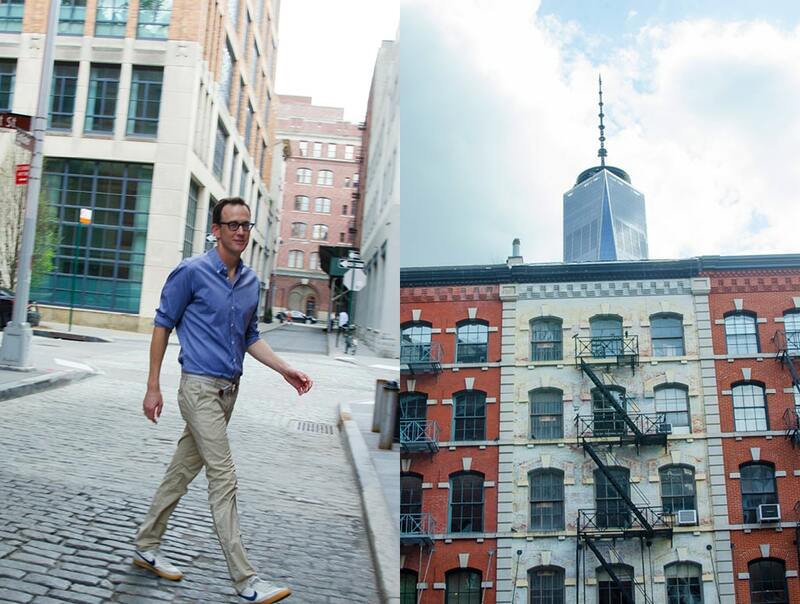 We hope Erik’s tips will make your next Tribeca visit a memorable one. Planning a trip to Tribeca? Here is the current weather and what to expect for the next few days.